Frustration for the Boys of 86 but a string of cup memories in the week 13 to 19 March in Hammer’s history. 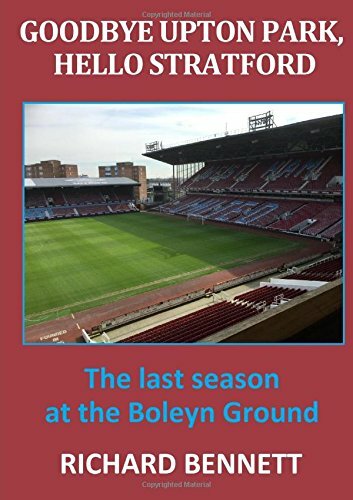 Back in the memorable 1985/86 season West Ham did not play a league game between 2 February and 15 March due to a combination of inclement weather and FA Cup commitments. When league action re-commenced with an away fixture at Highbury, the Hammers were lying in seventh place but had played five games less than leaders Everton and 6 less than second placed Liverpool. It turned out to be a disappointing period for the Boys of 86, however, as in the period of 10 days they had defeated Manchester United in a replayed FA Cup 5th round tie, were eliminated in a 6th round match at Sheffield Wednesday just three days later and then lost two league matches on the bounce; away at Arsenal and Aston Villa. In the Highbury game West Ham dominated much of the game but went behind to a goal scored by Tony Woodcock after an obvious handball. In an attempt to rescue the match Alvin Martin was pushed up front, was booked for a bad foul and then sent off for a spot of fisticuffs with David O’Leary (who escaped punishment) as the game became bad tempered. With no further scoring West Ham lost the game 1-0. Four days later dreams of the title appeared to have completely evaporated as West Ham were beaten again this time by lowly Aston Villa in a game that ended 2-1 to the home side. Steve Hodge scored both Villa’s goals while a Steve Hunt own goal was all that the Hammers could muster in front of the paltry 11,500 crowd rattling around inside Villa Park. In European action West Ham travelled to face Lausanne Sports of Switzerland in the 3rd round 1st leg of the Cup Winner’s Cup in 1965 but made heavy alpine weather against their Swiss opponents. West Ham took the lead when a goalkeeping error from a Boyce free kick allowed Brain Dear to force the ball home and doubled their lead through a fine Budgie Byrne solo effort. Lausanne pulled one back late on to give them a lifeline for the second leg. In 1976 West Ham were facing a 2-4 deficit when the second leg tie against Den Haag kicked off. By half time the Hammers were 5-4 to the good on aggregate with goals from Alan Taylor, Frank Lampard and a Billy Bonds penalty. Den Haag pulled one back after the break to set up a nervy last period but with no further goals the tie ended 5-5 with West Ham progressing through to the semi-finals on away goals. March 1981 witnessed West Ham’s solitary Wembley League Cup final appearance. The Hammers were romping away with the second division at the time but faced a difficult task against league champions Liverpool. In a largely unmemorable game all the action took place in the last few minutes of extra time. With just three minutes to play Alan Kennedy scored (and Clive Thomas allowed) the disputed Sammy Lee offside to put the cup in Liverpool’s hands. With the minutes ticking away West Ham were awarded a free-kick on the edge of the area and a Ray Stewart rocket was brilliant pushed behind by Ray Clemence. From the resulting corner Alvin Martin headed for goal but was denied by the hand of Terry McDermott (not a red card offence back then). Up steps Stewart for a cool-as-you-like equaliser from the penalty spot to take the tie to a replay. In the 2006 path to the FA Cup final it was Sam Allardyce’s Bolton visiting Upton Park for a replayed 5th round tie. The visitors had the better chances in the game but had gone behind early on when a poor clearance from a Marlon Harewood cross bounced into the net off keeper Jussi Jaaskelainen. Bolton equalised just after the half hour when Kevin Nolan fed namesake Davies to outwit Hammer’s keeper Shaka Hislop from 20 yards. Despite the usual aerial bombardment the Hammers held firm and won the tie in extra time when Harewood turned in Yossi Benayoun’s teasing cross. Possibly one of the finest ever West Ham performances was in the FA Cup semi-final against Manchester United on 14 March 1964. The game was played in front of 65,000 on a soggy Hillsborough pitch saw the Hammers face a strong Manchester side that included the famous Best, Law and Charlton triumvirate. A competitive and evenly contested first-half had ended goal-less despite near misses at both ends but two goals by Ronnie Boyce in the first 20 minutes of the second half put West Ham firmly in control. The Red Devils fought back and following a scare where Jim Standen was injured in a collision, Denis Law reduced the arrears firing past the still groggy keeper. With Manchester throwing everything forward for the equaliser West Ham sealed victory, and booked their first final appearance since 1923, when Bobby Moore set up Geoff Hurst to score from an excellent counter attack. Next Next post: My Favourite Games: Number 9 – West Ham 4:3 Queens Park Rangers, November 2nd 1968.